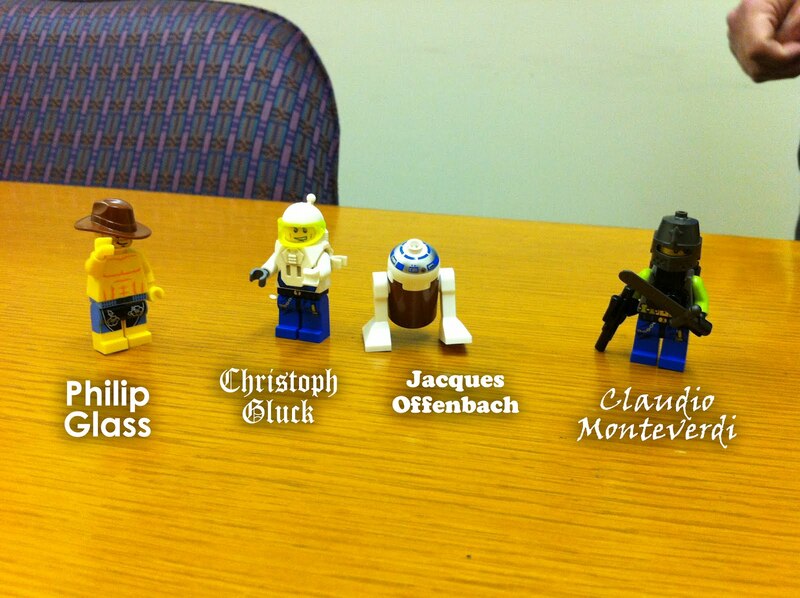 Seattle Opera Blog: ORPHEUS ODYSSEY - Week 4 (Final) Clues! ORPHEUS ODYSSEY - Week 4 (Final) Clues! UPDATE: The final tickets have been claimed! Paula J. just picked them up at Velo Bike Shop, which means our four weeks of treasure hunts are officially over. Thanks to all who participated! We had a blast and hope you did, too. Elysium to the north of me! Elysium to the southeast of me! And I, the hub. Know which business this is referring to? If so, a pair of tickets to the March 10 performance of Orphée et Eurydice await, available for claiming this week from 10 a.m.-7 p.m. this Monday through Thursday, or 10 a.m.-6 p.m. on Friday and Saturday. If you're stumped, come back to this blog every morning this week (or check out our Facebook or Twitter pages) for a NEW CLUE, until the tickets have been won. May the gods smile upon your quest! 03/05 Update: Wow!! That was fast! Greg B. has just claimed our special bonus pair of tickets, by coming to our box office and performing his mini-opera about four composers who have written Orpheus operas--which is what our weekly passwords were referring to: Monteverdi ("Green Mountain"), Gluck ("Luck [forgot the umlaut! ]"), Offenbach ("Open Brook"), and Glass ("Liquid Silica"). 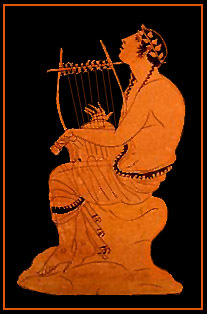 Originally posted on Monday, March 5, 2012, at 10 a.m.
Orphée et Eurydice plays for two more performances, Wednesday, March 7 and Saturday, March 10. And we have two more pairs of tickets to the March 10 performance available to those brave enough to undertake our final Orpheus Odyssey! On the first week of our Orpheus Odyssey treasure hunt, Nick G. claimed the hidden tickets at That's Amore! cafe in Mt. Baker--after only one clue! The second week, Stona and Safia Jackson deciphered the second clue and picked up the second-week tickets at Dusty Strings. 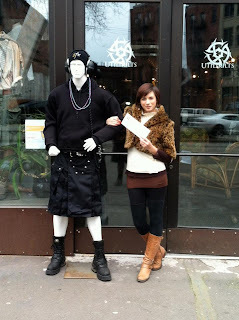 And last week, Emma L figured out the riddle from the second clue and persuaded Jacob (below) at Utilikilts in Pioneer Square to give her the week's tickets. This week you have TWO chances to win. Another Seattle business has a free pair of Orphée et Eurydice tickets, and will give them to the first person to to decipher the clues below, go to the business, and give them this week's password. And if you've been following these hunts all month long, and have figured out the dread mystery of the passwords--that is, what connects these four enigmatic phrases--you'll win the bonus tickets, provided you're the first to present your answer, musically, to the wise sages of the Seattle Opera Box Office, at our 1020 John St. ticket window, M-F 9-5 this week. If you need a refresher on the rules, go here.